Aggregator for games, movies and tech news. I designed and built the website. Click here to view screenshots of the website. 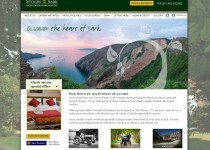 Website for a Sark based luxury hotel. I built the website based on the provided PSD templates. 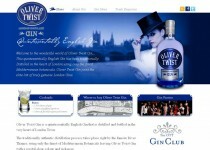 Website for a Guernsey based Gin brand. 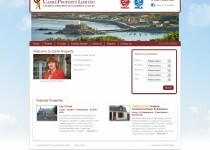 Website for a Guernsey based Estate Agents. 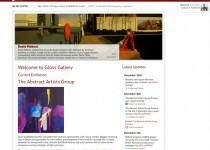 Website for a Channel Island based Art Foundation. I built the website based on the provided PSD page templates to a tight deadline. Website for a provider of security services. I was given PSDs of each of the different page templates and converted them into a WordPress theme for the client to populate. A jQuery scroller and fader feature on the homepage. Website for fans of Microsoft’s Xbox 360. I modified a theme I’d already customised for Playstation University. I then added the functionality throughout. Website for a Guernsey based specialist treasury broking company. As part of SWN, I built the site. Website for fans of the Sony PlayStation. I heavily customised an existing HTML template and coded it as a WordPress theme. I then added the functionality throughout. Website for an Exeter based art gallery. As part of SWN, I designed the site and then built it.